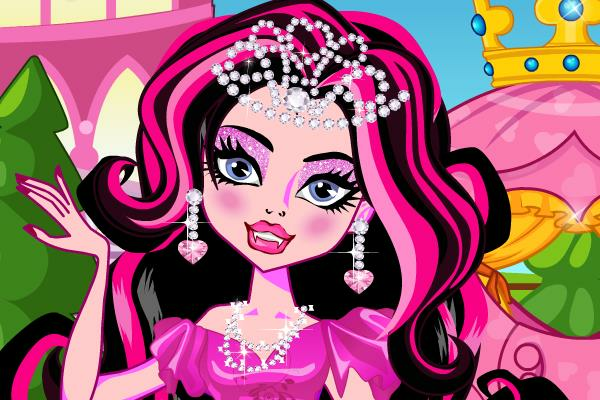 Monster High Princess Dress Up Game & Makeover Game. Monster High Dress Up Game. It is a Monster High School party tonight and the students will choose the Scary Beauty Princess at the party. Every ghoul at the school are so excited about this competition and they all want to win the title "Monster Princess" in this beauty contest. Go play this fun celebrity dress up game and choose your favorite clothes and accessories to create a winning style for your amazing Monster High Ghoul. You can find more Monster High Games in this category.